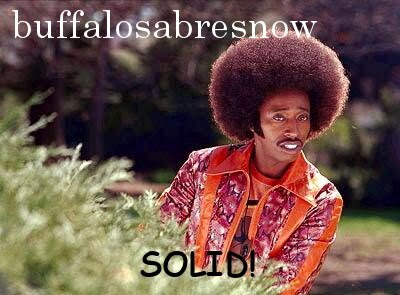 The Buffalo Sabres will have their bye-week beginning tomorrow. The collectively bargained five-day break means the Sabres will be off until they travel to The Big Apple to face off against the New York Rangers in Madison Square Gardens on January 18. And God knows, this team needs a break. Buffalo heads into tonight's home matchup against the Columbus Blue Jackets on a five-game losing streak (0-4-1) to start off the 2018 portion of the schedule and have been outscored 24-12 in the process. The Sabres began the new year with an overtime loss to the Rangers in the Winter Classic, stunk up the joint vs. the Wild at Minnesota for the first of a three-game road trip then lost to the Winnipeg Jets and Philadelphia Flyers. Buffalo returned home Tuesday and got blown out by the Jets 7-4 on their return to KeyBank Center for the first time since a win against Philadelphia on December 22nd. The bye-week might be a good thing for Buffalo as their in the midst of a terrible skid that's really starting to take it's toll on the team. With the season shot and the trade deadline nearing, tempers flared at practice yesterday and one player was lost to injury. 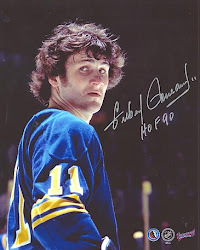 According to WGR Sabres beat reporter Paul Hamilton, Buffalo head coach wanted more intensity at practice after the embarrassment that was the Winnipeg loss. And intensity is what he got. Hamilton said the Sabres d-man Zach Bogosian, who missed the first 17 games of the season with a lower body injury, threw a hard body check at Evander Kane but got the worst of the deal. Bogosian had to be helped off the ice and will be out anywhere from 4-8 weeks. Kane was also verbally attacked by defenseman Justin Falk in a spat that almost became physical twice--once on the ice and another time while coming off the ice. During his appearance on WGR this morning, Hamilton said that it was more of a "teaching practice" but that Housley wanted to see more passion and what he ended up getting from his 10-24-9 team was an "angry practice." Which begs the question, what the hell took him so long? This team was in a funk from October to early December and it was so bad that they were pretty much out of the playoffs. The team showed very little passion during that stretch and whether it's "you practice like you play" or "you play like you practice," this club seemingly wasn't getting their blood pumping and it showed during games. Eichel's 10 goals and 10 assists in his last 17 games moved him past Kane atop the Sabres leaderboard and probably got him the All-Star nod over Kane. Every team will be represented at the All-Star game and Eichel will represent the Sabres. He called it a "huge honor" while speaking to the gathered media and said that the format and the prize money adds extra incentive. The NHL went to a six-team playoff using the three-on-three format two years ago and it's been one of the best innovations in all the four major sports. Granted, All-Star weekend is more of a getaway and a place for fans to see all the stars of the game gathered for an elongated skills competition, but the $1 million prize is something to shoot for. “You got something on the line, you got something to play for,” he said yesterday. “I mean, it’s money, right? I think I read somewhere yesterday that Taylor Hall’s won both years in the three-on-three. I think he’s got paid over $150,000 from winning. That’s a pretty good chunk of money." Goalie Linus Ullmark is an All-Star himself as he'll be headed to the AHL All-Star Game to represent the Rochester Americans. For tonight, however, he'll be on the ice and in goal for the Buffalo Sabres as they take on the Blue Jackets. Ullmark was called up after Robin Lehner took a shot to the neck area against Philadelphia on Sunday and was listed as day-to-day. He wasn't a part of the blowout loss on Tuesday, but was still with the team and Housley said that the 24 yr. old native of Lugnvik, Sweden will make his season debut. Housley told the gathered media today that Ullmark, "earned a start up here" saying that "he's had a terrific season down in Rochester, being named an AHL All-Star, and we're looking for a spark." Ullmark has been in the pipeline since being drafted by the Sabres with the 163rd pick in the 2012 NHL Entry Draft. He played two-plus seasons for MODO of the Swedish Elite League after being drafted and almost single-handedly helped his team stave off relegation in 2014-15. After that season he opted for elective double-hip surgery before coming to North America. He arrived in Rochester with a late 2015 target date for his return from surgery but was thrust into action early as Sabres goalie Robin Lehner went down on the first game of the season. Although he wasn't the first call-up, when he did get the call, he didn't go back to the Amerks until Lehner returned. That year he split his rookie campaign between Buffalo and Rochester. Last year Ullmark played the entire season in Rochester and was named their team MVP. This year he's been even better as he's learned to put winning ahead of stats and because of that he's sporting a 17-5-3 record, 2.27 GAA and a .928 Sv%. The Sabres powerplay has been a trainwreck and in a stunning turn of events went from No. 1 in the league last season to 30th this year leaving many to wonder what the hell happened, especially when they essentially have the same personnel. Hamilton began his segment with Howard Simon and Jeremy White this morning talking about the Buffalo Bills and the fate of their offensive coordinator, Rick Dennison. The Bills running game fell from one of the best in the league last season to one of the worst through the early part of this season with Hamilton saying basically that Dennison tried to cram his system down the players throats with no regards for his personnel and how they might fit. He also drew a parallel between Dennison and former head coach Rex Ryan who took one of the best defenses in the league and turned it into one of the worst a year later. Housley did the same thing with the Sabres powerplay, according to Hamilton, when he disregarded the players and what worked for them last season to instill his system. And make no mistake, this is Housley's system. "The assistant coaches coach the head coach's powerplay," stressed Hamilton. "Housley wanted to change things." As Hamilton pointed out, the Sabres have had a number of one-goal losses this year and he rhetorically asked how things might have been different with the powerplay producing at the same clip it did last season. To answer his question, the Sabres have had 15 one-goal losses this season with another six games within a goal late in the third period before the opposition scored and empty-netter (or two.) During those 21 games, the Sabres failed to score a powerplay goal in 11 of them and scored more than one powerplay goal only twice. Last year the Sabres had 43 points through 43 games scoring 31 powerplay goals. This year the Sabres have 29 points through 43 games and have scored 17 powerplay goals with five of those coming in two games. Would 14 more powerplay goals in some of those 15 one-goal losses have made a difference? Would it have been enough to make up the 14 point difference between last year and this?